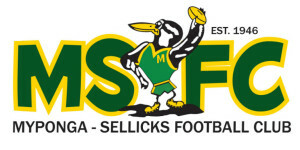 Welcome to the official site of the Myponga - Sellicks Football Club. Click on the Season 2019 Player Registration link on this page for the new automated registration system. An email has been sent out to all players and parents that participated in Season 2018. Please check your Inbox or Trash Folder for this email. All your information is detailed within the email. If not received you can apply to have your user name and password emailed to you if you have the same email on file as last season. This can be done by proceeding to the second screen in the registration process and use the second option on the screen. Request your user name and password. Player Subscription due will be calculated on players Date of Birth into the correct team range. 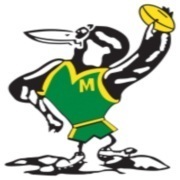 The State Government have implemented a Sports Vouchers Program to encourage all school children attending Primary School to particiapte in sport. School Children aged from Reception to Year 7 receive a $100 discount off sports club membership. Please note that only one $100 subsidy can be claimed per child per year. Junior players who register and pay by the 14th February 2019 you will receive a BONUS merchandise pack which includes a pair of shorts, a club polo and a pair of socks!! 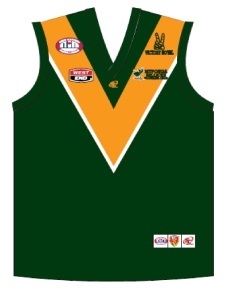 Player Subscriptions and Registrations must be done before 9pm on Thursday two weeks before Round 1 with no exceptions as the registration system is time and date sensitive and set by the Great Southern Football League and the Footyweb system. Contact Sports Centre via the link below to order all your club merchandise including shorts and socks. Order and pay on-line and your order will be posted to you.